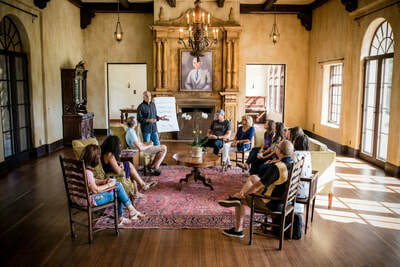 The Howey Mansion offers a unique space for your team to rest, reflect and collaborate. 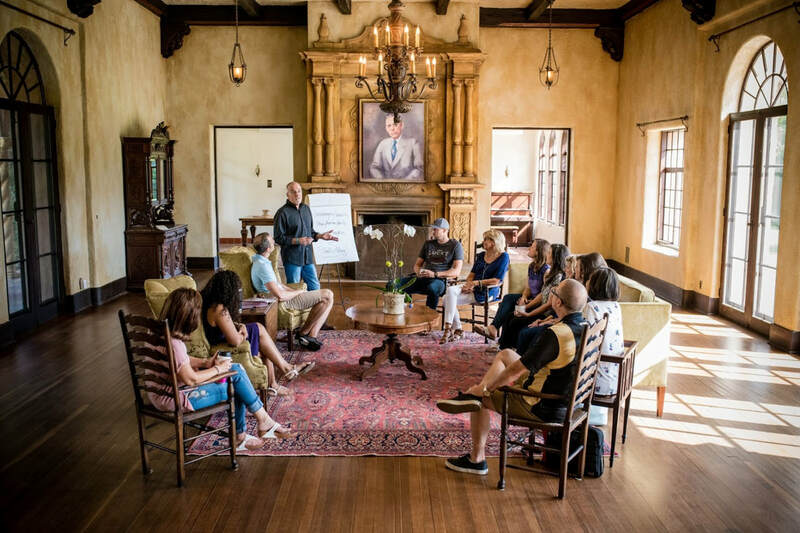 The private and secluded location of the mansion inspires personal growth and the multiple cozy nooks filled with history allow for guests to getaway for quiet time. 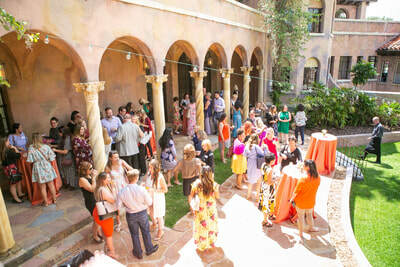 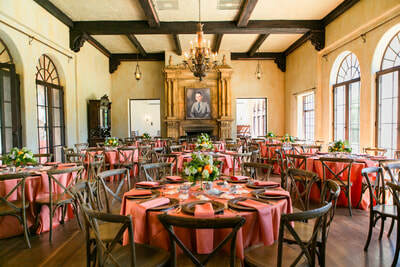 The Howey Mansion sits on 3 lush acres, perfect for events of 200 or even 1,000! Host a silent auction in our Grand Ballroom, a cocktail party in our Fountain Courtyard, and a spectacular dinner under the stars on our Grand Event Lawn! 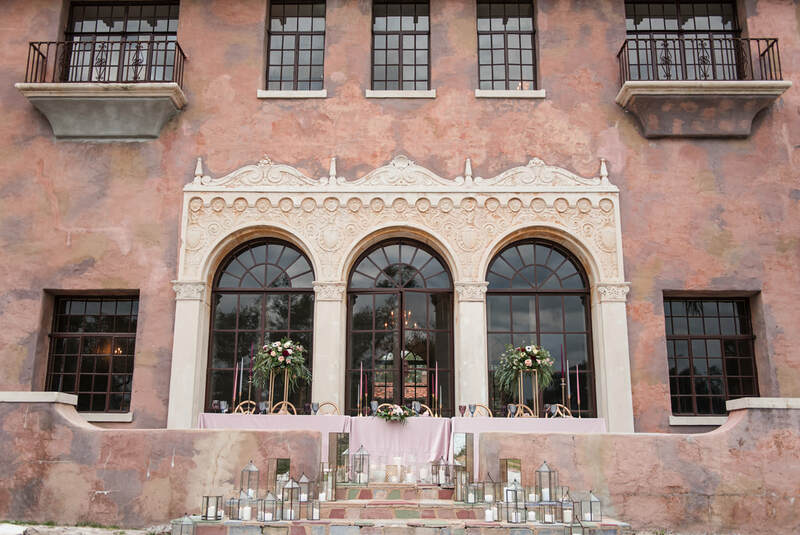 The breathtaking grounds, lush gardens and antique décor of The Howey Mansion make this highly-anticipated restoration Central Florida's most sought-after wedding and event venue. 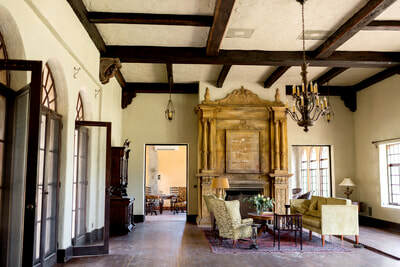 As one of Howey-in-the-Hills' historical treasures, the home has a rich history for hosting lavish parties with famous guests, from U.S. presidents to Hollywood starlets. 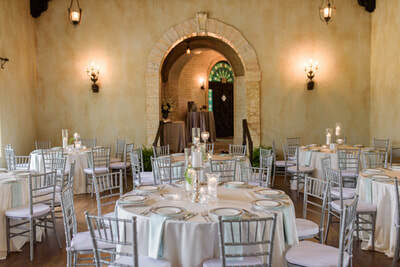 The sense of Southern charm and sophistication inspire classic romance, making it a worthy location for a celebration of love. 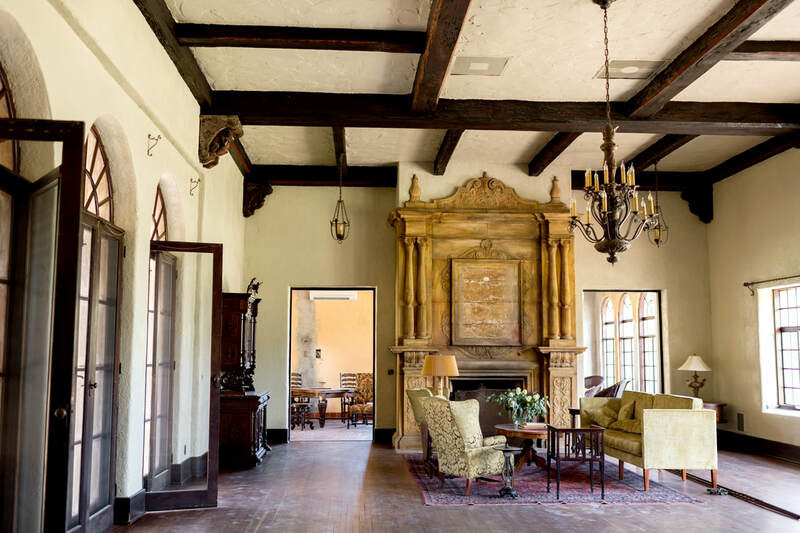 Historical yet welcoming, this artistic mansion invites you in with towering palm trees, stunning wood finishes and fireplaces, and abundant detailed chandeliers. 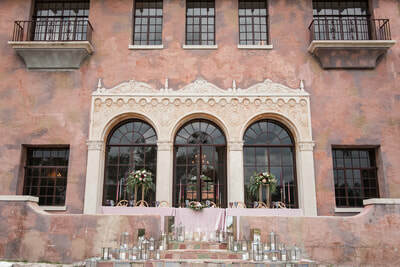 Cozy wood burning fireplaces and candlelit ambiance are just the start of memorable celebrations at The Howey Mansion. From the spectacular architecture to the award-winning cuisine from our caterer, you and your guests will have memories to celebrate for years to come!